If you want your skin red-carpet ready, you’ve got to get on a serious skin regimen. 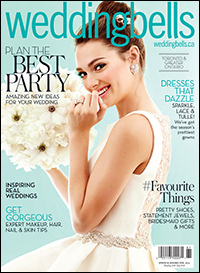 We asked dermatologist Dr. Lisa Kellett of Toronto’s DLK on Avenue to share her wedding skin strategies. What are great daily skincare basics every woman should be doing, and what’s an ideal routine pre-wedding? How far in advance should a bride start micro-managing her skin routine? What treatments do you recommend to get skin looking extra-fabulous? What should you not do in the days before your wedding?